Status: offline I watched the video for printing postcards but it showed mail merge and I need to know how to print 4 postcards per sheet. 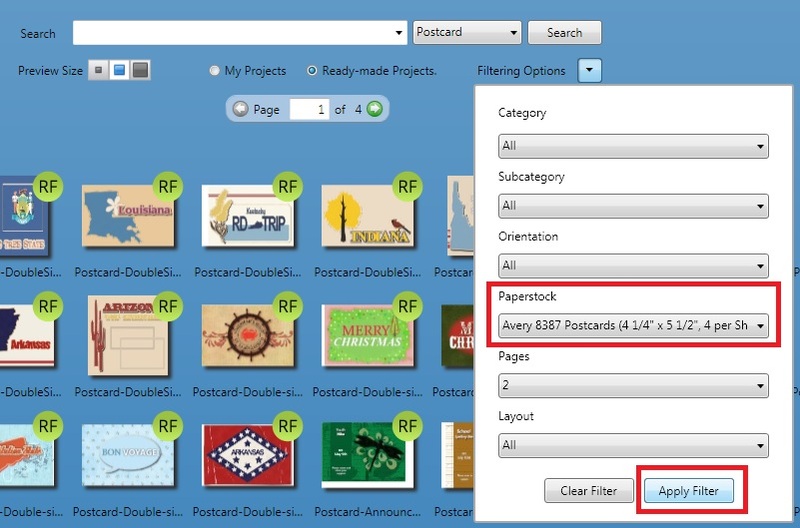 How to actually fill out the postcard and flip over to put info and opposite side of card. I really need to know this asap. I appreciate any help. Status: offline The quickest way would be to edit an existing postcard project that is already set up to print 4 cards per sheet. Use the filter, as shown in this screen capture, to find and open the project. Delete graphics and replace with ones you want. Edit the text on page two.